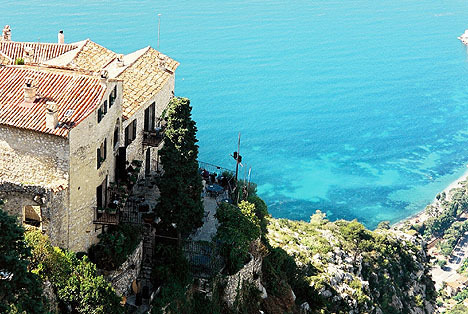 Known or unknown, Eze charms all visitors. Some just passed, others, seduced by its characteristics and its landscapes, stopped definitively or adopted it as a vacation place"The grooves of the path seem to be the gold laces of her black blouse. The sun has tanned her forehead, the storm and the cannon when they explode have jagged a ruined diadem".Victorien Sardou, the academician prefers to admire the nuances of the green vegetation, describing "the almond and peach trees, the thick and luxuriant foliage of the carob trees, the grey silvery of the olive trees".